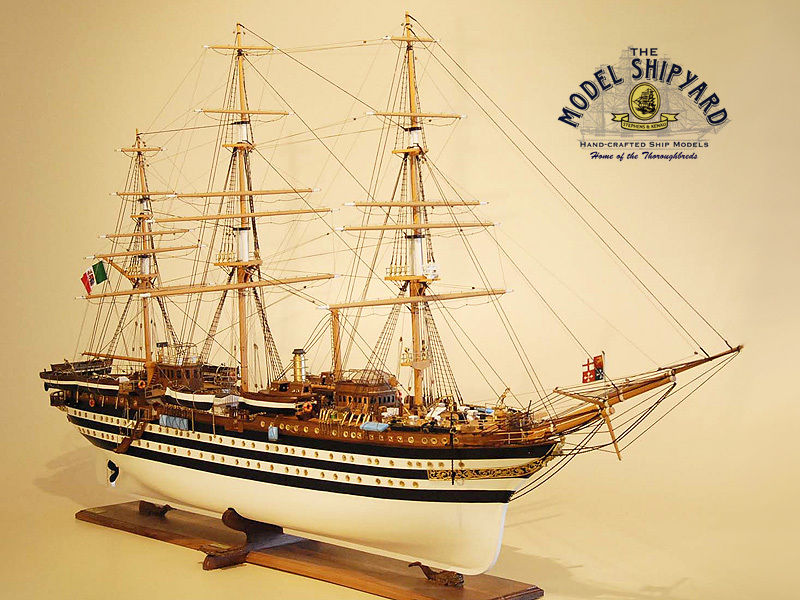 The Amerigo Vespucci is a tall ship of the Marina Militare, named after the explorer Amerigo Vespucci. She was built in 1930 at the Royal Naval Shipyard of Castellammare di Stabia (Naples) and was launched in 1931. 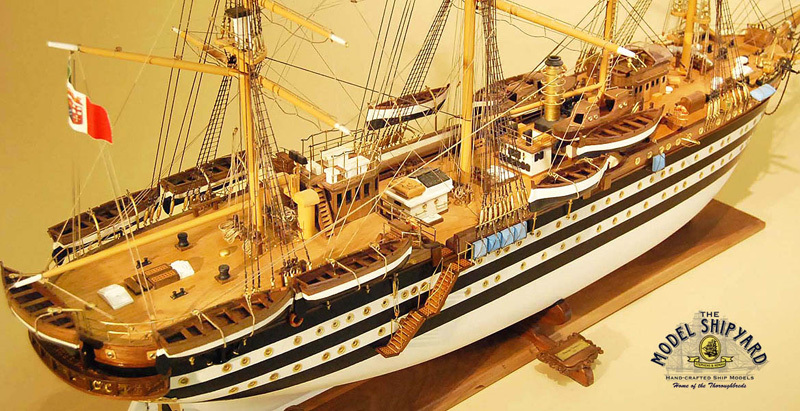 The Amerigo Vespucci was built as a school ship, for training officer cadets at sea and has a standard crew comprising of 16 officers, 70 non-commissioned officers, and 200 sailors. At the Naval Academy, in the summer there is a total crew of 450 persons aboard. 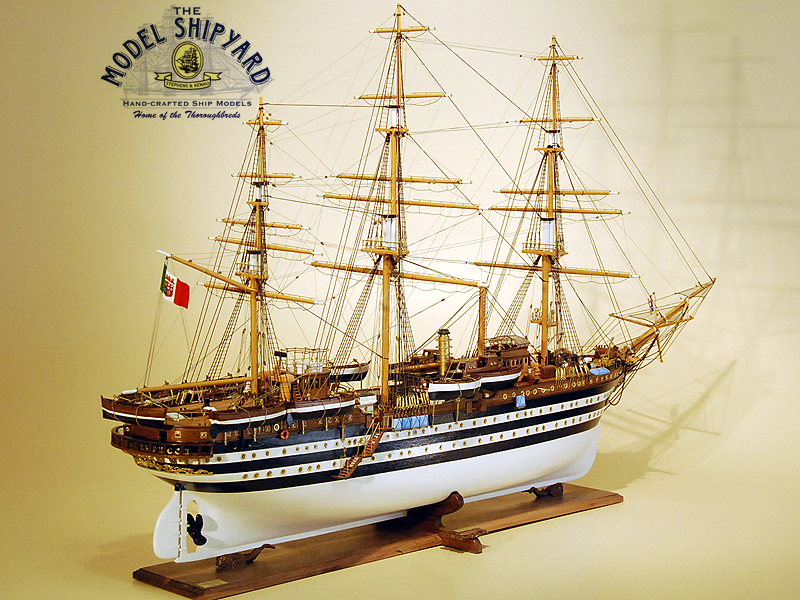 In 1925, the Regia Marina ordered two school ships, the Cristoforo Colombo and the Amerigo Vespucci, to be built following a design by Lieutenant Colonel Francesco Rotundi. 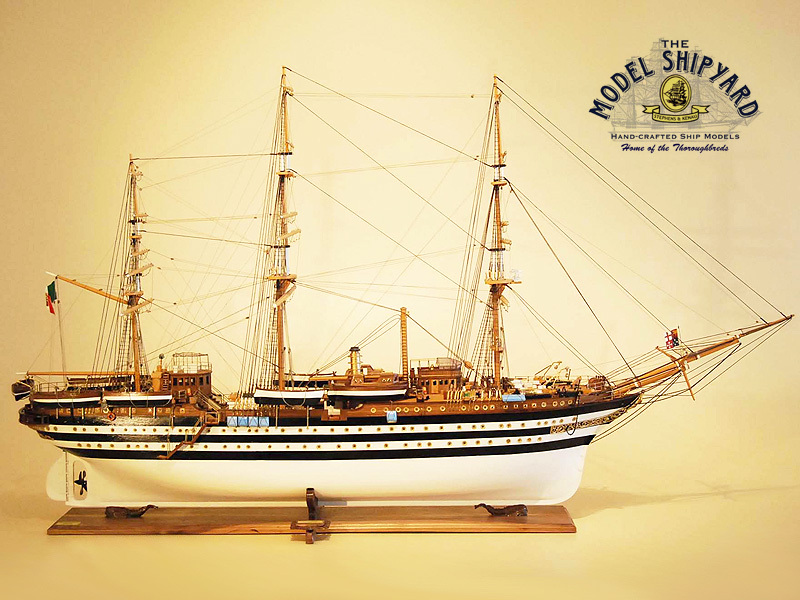 He was of the Italian Navy Engineering Corps and was inspired by the style of the late 18th century 74-cannon ships of the line. The Amerigo Vespucci is a full-rigged three mast steel hull, 82.4m long with an overall length of 101m including the bowsprit and a maximum width of 15.5m. She has a draught of about 7 m and a displacement of 4100tons. Under auxiliary engine power, she reaches a top speed of 10 knots. 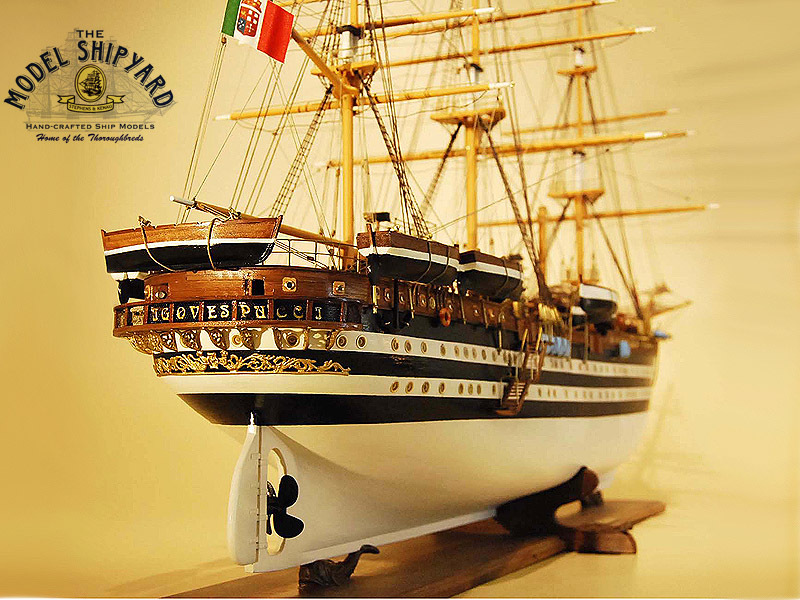 In total, the Amerigo Vespucci has 26 traditional canvas sails. 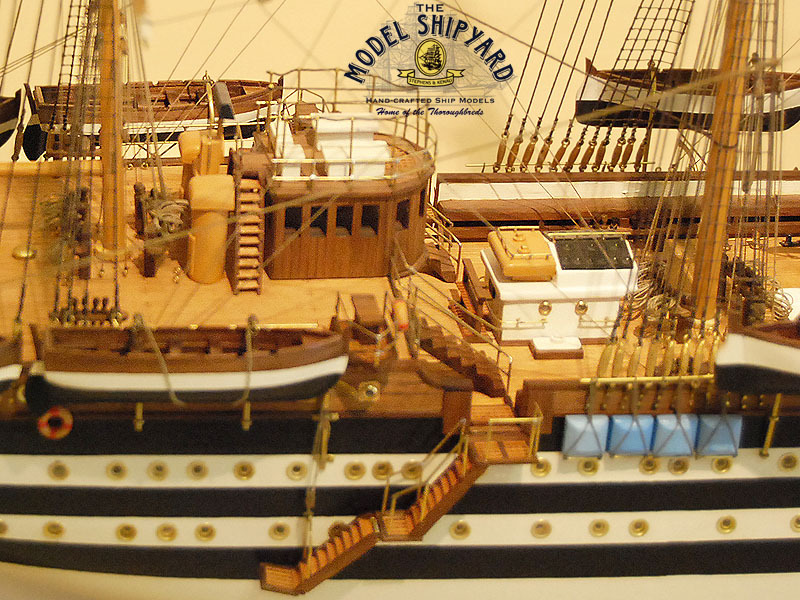 As of 2004, she is the only existing three decked square-rigger. 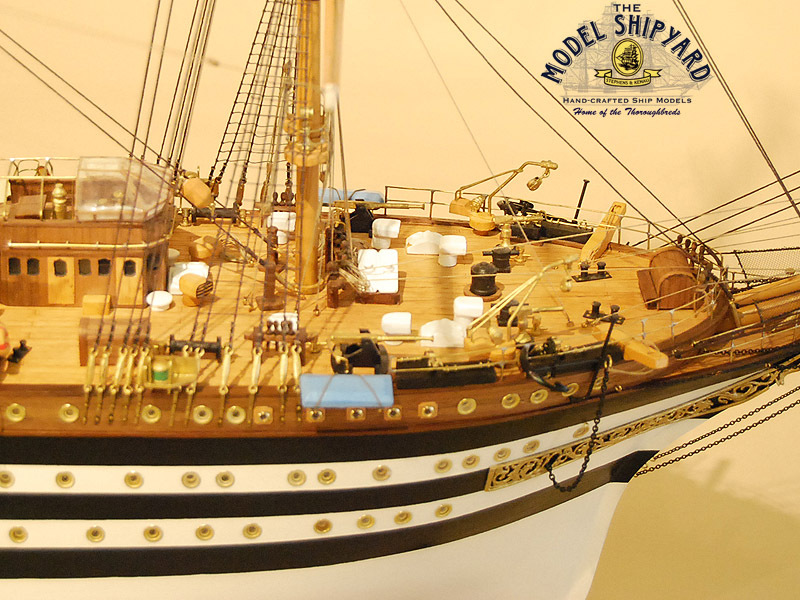 The hull is painted black with two white stripes in reference to the two gun decks of the original ships the design is based on. 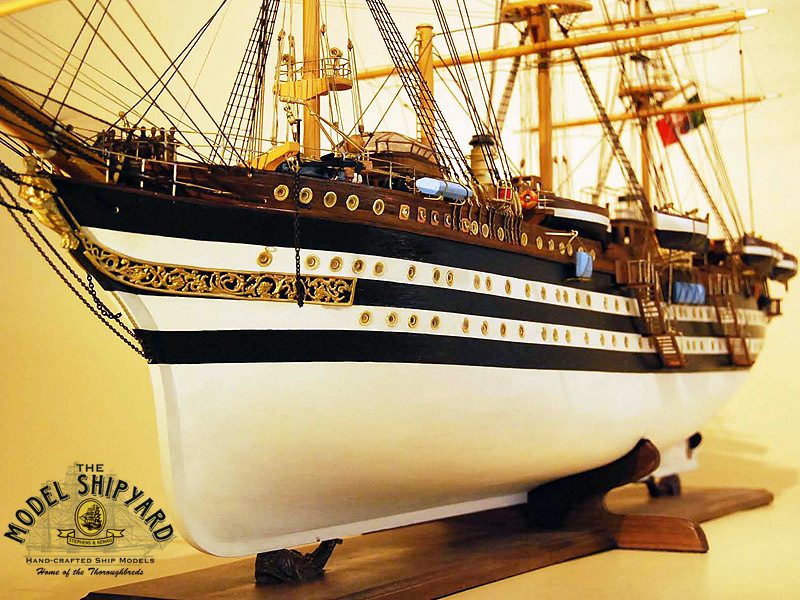 The Amerigo Vespucci carries no guns and has a life-size figurehead of Amerigo Vespucci. 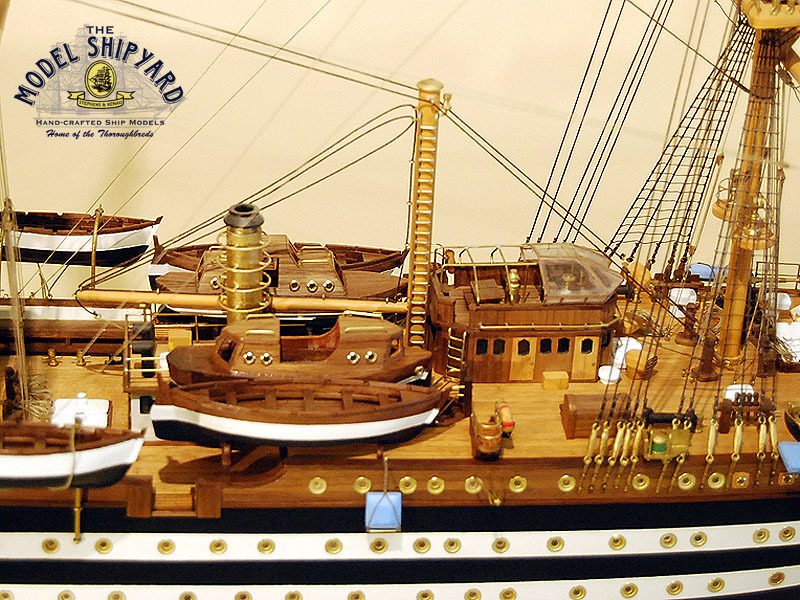 The Amerigo Vespucci has two auxiliary engines and a twin steering. When carrying cadets, she is steered at the manual stern rudder station, which is operated by four steering wheels with two men each. Except for the anchor winch, the winches aboard are man-powered. There are sophisticated modern electric navigation instruments on the bridge. The Amerigo Vespucci still has training courses in European waters and often takes part in sailing parades and Tall Ships’ Races.